Remember how Disney announced that it was scuttling Star Wars' Expanded Universe to create one, new, everything-matters continuity? In a very weird twist, the new #150th issue of Star Wars Insider magazine says that canon began in their last issue, with a short story titled "Blade Squadron." 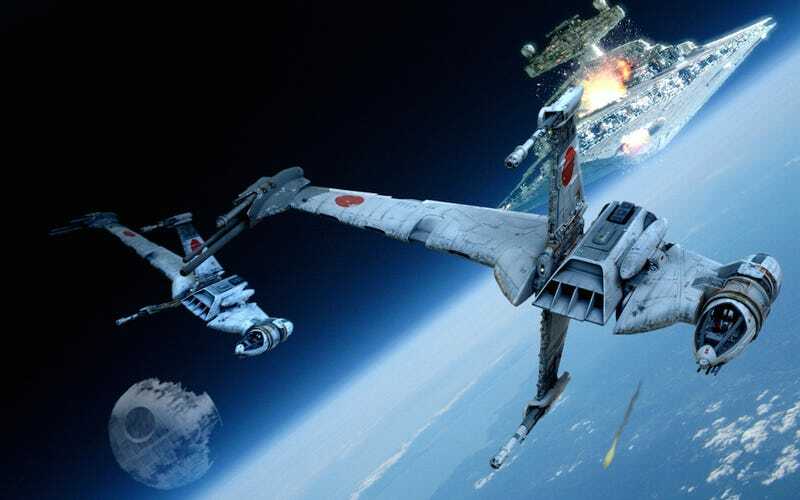 Written by David J. Williams and Mark S. Williams, "Blade Squadron" is about "an elite squadron of B-wing starfighters on a suicide mission during the Battle of Endor" according to the Star Wars Wiki. That's fine, but I feel like the first part of this new canon should probably have been something a bit more... auspicious than a short story in the Star Wars fan mag, don't you? Or at least they should have announced that it's kicking off the new canon in the issue the story debuted in, right? It's just weird, is what I'm saying. If any of you guys have read the story, please let me know more details in the comments. Is it worthy of being the first step in this new Star Wars universe?